Heston from Waitrose The Chocolate Teapot is worthy of being a centre piece at a Mad Hatter’s tea party. 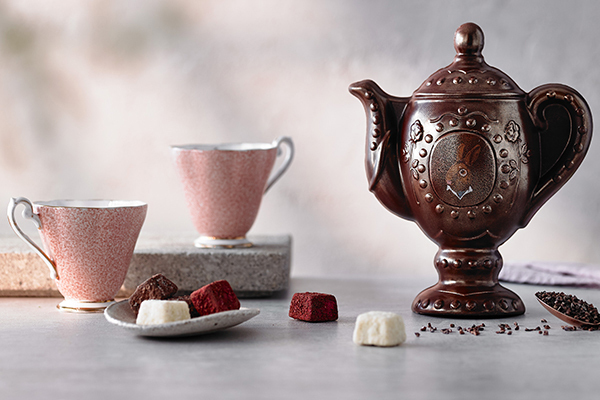 Filled with whimsical wonder, a surprise awaits chocolate lovers, who are able to actually eat the sweet teapot. The delicately designed teapot features ornate detailing and is finished with a gold shimmer and a curious illustration of an anthropomorphic Easter bunny – a rabbit that is impeccably dressed in human clothing – complete with a monocle. Heston from Waitrose The Chocolate Teapot, £20/240g will launch in Waitrose shops from March 2019.